One of Aspen Exteriors’ many reputable suppliers, CertainTeed provides a huge selection of residential siding. Founded in 1904 in East St. Louis, Illinois, the company is now headquartered in Malvern, Pennsylvania, and is staffed with over 6,000 hard-working employees. With products accommodating budgets both small and large, CertainTeed is sure to have a siding that accommodates your needs. CertainTeed certainly doesn’t scrimp on style. The company offers a huge variety of siding, all of which comes with its own unique aesthetic. From vertical siding, to horizontal siding, to shakes, and more, CertainTeed has you covered. Sometimes called board and batten siding, vertical siding possesses tall, narrow lines which span the entirety of the home which they’re installed. Vertical siding is used on all types of residential structures, from farm homes, to Victorian houses, to a variety of other structures. This type of siding comes in board form as opposed to panel form. These boards cover a lot of area, and are generally very easy to install. If you’re going for a unique, old-school look, vertical siding is a very good option. Also known as clapboard, this siding stretches horizontally across the homes on which it’s installed. The most popular residential siding, you will commonly see horizontal siding on homes throughout the United States. Coming in panels which are thicker on their bottoms than they are on their tops, horizontal siding is installed in an overlapping manner. This allows for terrific heat, cold and moisture protection, and creates a generally pleasing aesthetic. Shakes have been used on homes for hundreds of years, providing an aesthetic which is entirely different from the ones provided by horizontal and vertical siding. Measuring in at roughly 2 feet by 1 foot, shakes are installed with an overlapping orientation. You’ll often see shakes on luxury homes and vintage houses. They provide an aesthetic which is utterly unique. CertainTeed doesn’t only provide a wide selection of siding styles, it provides a wide selection of siding materials as well. The vast majority of CertainTeed siding is made out of either vinyl, stone, or composite material. Durable, low-maintenance, and cost-effective, vinyl siding is the most common siding material in the United States. This material is available in a number of styles and colors, allowing for a great deal of aesthetic variation. Stone siding is a terrific designer siding, offering an eye-catching look to any home upon which it’s installed. Durable and insulative, it’s very often used in tandem with other siding materials. Composite siding excels on all fronts, offering durability, insulation, and functionality that are second to none. A low-maintenance material, composite will provide your home with top-notch aesthetics for years to come. CertainTeed cares about its customers, and for that reason, the company offers limited lifetime warranties on the vast majority of its siding products. 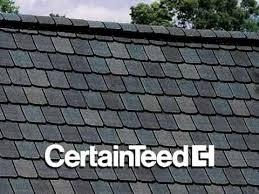 Should your siding face any damage as a result of poor manufacturing, CertainTeed will pick up the slack. If you decide to have your CertainTeed siding installed by Aspen, you will also be given a 10-year labor warranty. 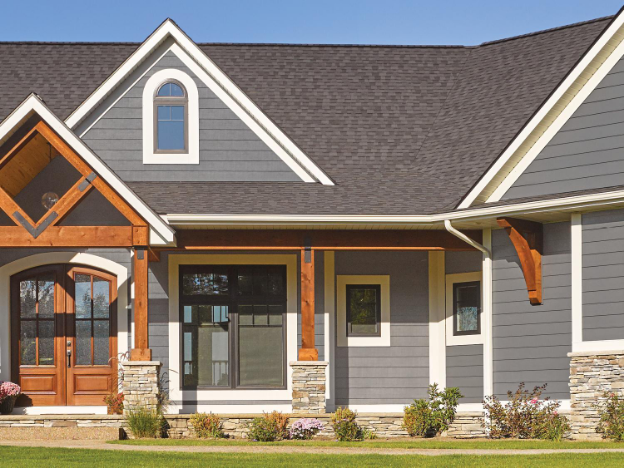 If you’re looking to buy CertainTeed siding in Chicagoland, Aspen Exterior Company is the company to see. In business since the late 70s, we have been selling and installing CertainTeed siding for as long as we can remember. Our team of seasoned siding installation experts offers guaranteed service. By utilizing our services, you will receive a 10-year labor warranty. 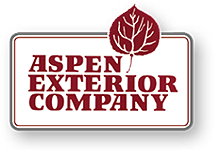 To have GuaranTeed siding installed on your Chicagoland home, contact Aspen Exterior at (847) 590-5600!